Perhaps your congregation needs a Congregational Disabilities Advocate! The responsibilities of a Congregational Disabilities Advocate can be defined according to the needs of your particular congregation. Here are some guidelines. Promotes the inclusion of all persons, regardless of abilities or disabilities, into the life of the congregation. 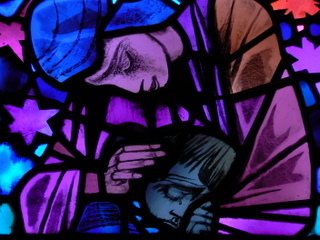 Seeks to become aware of persons within the faith community and their disabilities. Receives information and potential resources from the Congregational Accessibility Network (CAN), their denominational disabilities advocacy office and other sources to pass along to appropriate persons within the congregation. Stories of how the congregation is including persons with disabilities. Issues that the congregation is facing. Resources and consultation needed to include persons with specific disabilities. Resources the congregation would have to share with others in their networks. 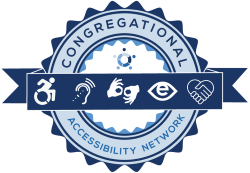 Congregational Accessibility Network is dedicated to helping advocates as they build bridges that make faith congregations welcoming places for all people, including persons with disabilities. As you explore this website, here are areas in which you may want to begin. Congregations which complete the online Congregational Assessment Survey receive the CAN Seal for their website. Find the resources you need that fit with your own faith tradition. Find the resources you need to make your congregation more inclusive. Visit the Resource Center. The Individual and Family Needs Questionnaire allows congregational attendees to share how well they and their families feel included. Have your congregation do the Congregational Assessment Survey. See the Introduction and Overview pages for more information.